Mihesuah’s career has been devoted to the empowerment and well-being of indigenous peoples. 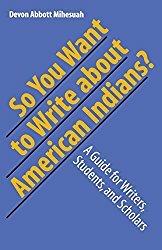 For the nine years she served as Editor of the American Indian Quarterly, Mihesuah attempted to bring indigenous concerns and voices to the forefront of academic writing. Her own research, writing and speaking focuses on decolonization strategies and she one of the handful of indigenous writers who successfully writes non-fiction and fiction. She regularly speaks nationally and internationally about issues pertaining to empowerment of indigenous peoples; her works are cited and reprinted in hundreds of publications and her books and essays are used in classrooms across the world. 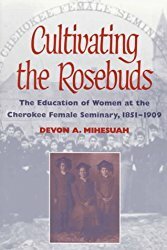 Mihesuah is the recipient of grants, fellowships and awards from the Ford Foundation, National Endowment for the Humanities, Smithsonian Institution, American Council of Learned Societies, Newberry Library, Arizona Humanities Council, American Historical Association, Oklahoma Writers' Federation, American Educational Studies Association, Phi Alpha Theta, Westerners International, Arizona Writers’ Association, Gourmand World Cookbook Awards, Wordcraft Circle of Native Writers, Oklahoma Historical Society, Flagstaff Live!, KU Crystal Eagle American Indian Leadership Award as well as finalist for the Oklahoma Book Award and Gustavus Myers Center for the Study of Bigotry and Human Rights Book Award. At NAU she received the Native American Students United Award for Outstanding Faculty, President's Award for Outstanding Faculty, and Outstanding Faculty Woman of the Year Award. Ned Christie: The Creation of an Outlaw and Cherokee Hero. Norman: University of Oklahoma Press, spring 2018. Ed. 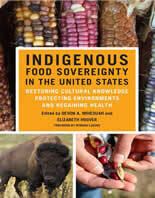 with Elizabeth Hoover: Indigenous Food Sovereignty: Restoring Cultural Knowledge, Protecting Environments, and Regaining Health. University of Oklahoma Press, 2019. Keynote Speaker, 45th Annual Symposium on the American Indian, Northeastern State University, Tahlequah, Oklahoma, “Outlaw and Hero: Nede Wade Christie,” April, 2017. 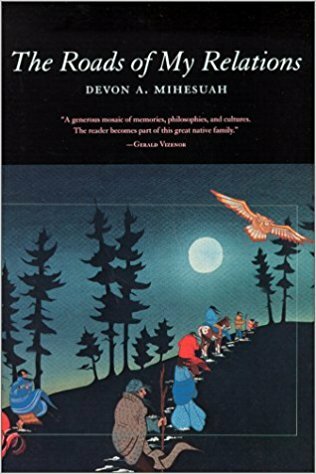 “Sustenance as Culture and Tradition: Teaching About Indigenous Foodways,” in Kristopher Ray and Brady DeSanti, Understanding and Teaching Native American History (University of Wisconsin Press). In progress. "Searching for Haknip Achukma (Good Health): Challenges to Food Sovereignty initiatives in Oklahoma,” for American Indian Culture and Research Journal’s Special Issue on Food Sovereignty 41#3 (2017): 9-30. 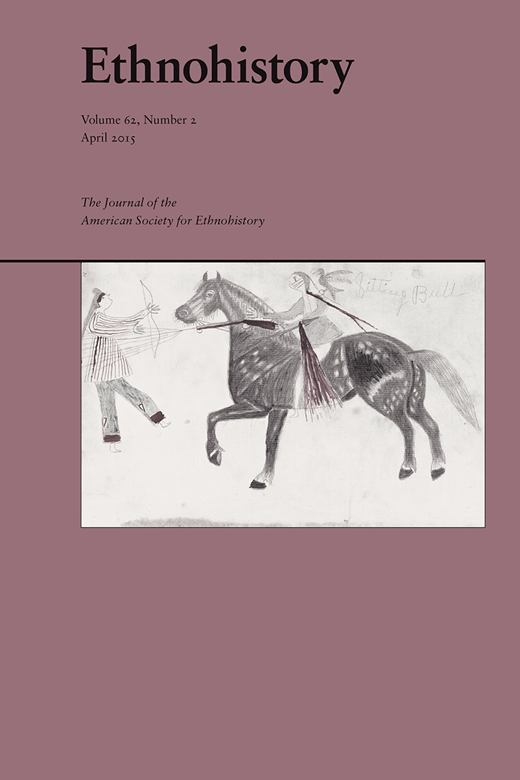 “Comanche Traditional Foodways and the Decline of Health,” Great Plains Journal 50 (2016), forthcoming. “Nede Wade “Ned” Christie and the Outlaw Mystique,” Chronicles of Oklahoma 93#3 (Fall 2015): 260-289. “Indigenous Health Initiatives, Frybread, and the Marketing of Non-Traditional “Traditional” American Indian Foods.” Native American and Indigenous Studies 3/2 (Fall 2016): 45-69. 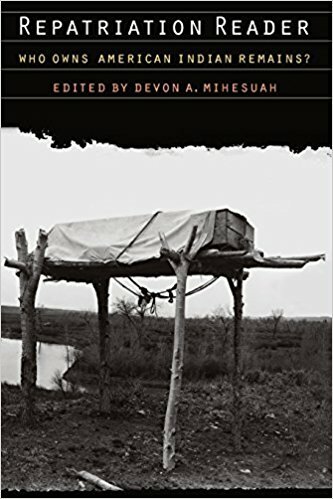 “Sustenance and Health among the Five Tribes in Indian Territory, Post-Removal to Statehood,” Ethnohistory 62:2 (2015): 263-284. 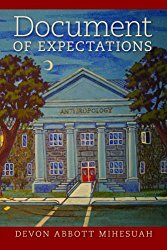 Document of Expectations (Michigan State University Press, 2011). 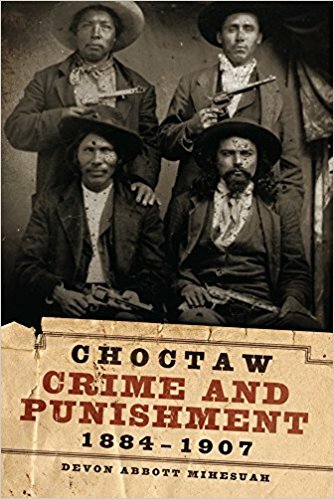 Choctaw Crime and Punishment: Intersections of Resistance, Politics and Justice, 1884-1907 (University of Oklahoma Press, 2009). Best Book on Oklahoma History Award presented by the Oklahoma Historical Society; Trophy Award for Best Book of Non-Fiction, Oklahoma Writers Federation; Finalist Oklahoma Book Award. “Unfinished Choctaw Justice: The Murder of Charles Wilson and the Execution of Jackson Crow,” Chronicles of Oklahoma 86 (Fall 2008): 290-315. 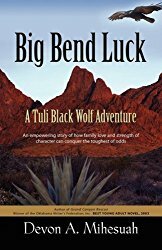 Big Bend Luck (Booklocker, 2009). 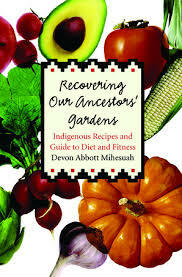 Recovering Our Ancestors’ Gardens: Indigenous Recipes and Guide to Diet and Fitness (Nebraska, 2005). Special Award of the Jury of the Gourmand World Cookbook Awards. Finalist for the Best in the World Cookbook. 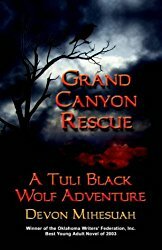 Grand Canyon Rescue: A Tuli Black Wolf Adventure (Booklocker, 2004). Winner of the Arizona Writers’ Association 2005 Book of the Year Award; Oklahoma Writers’ Federation Best Young Adult Novel Award; Finalist for the 2005 Oklahoma Book Award. 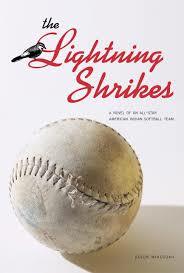 The Lightning Shrikes (Lyons Press, 2004). Ed. 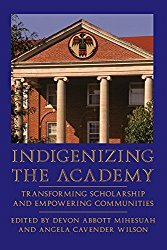 with Angela Cavender Wilson: Indigenizing the Academy: Transforming Scholarship and Empowering Communities (Nebraska, 2004). 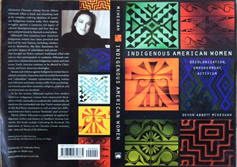 American Indigenous Women: Decolonization, Empowerment, Activism (Nebraska, 2003). Winner of the Oklahoma Writers Federation Trophy Award for Best Non-Fiction Book of 2003. 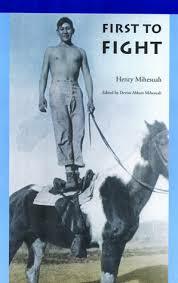 ‘First To Fight’: The Story of Henry Mihesuah (Nebraska, 2003). Ed. Repatriation Reader: Who Owns Indian Remains? (Nebraska, 2000). Roads of My Relations (Arizona, 2000). Winner of the Oklahoma Writers Federation, Inc. Trophy Award for the Best Fiction Book of 2000. Ed. 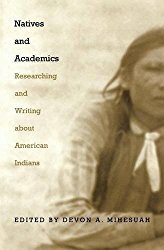 Natives and Academics: Discussions on Researching and Writing About American Indians (Nebraska, 1998). Recipient of 1999 Critics' Choice Award of the American Educational Studies Association. 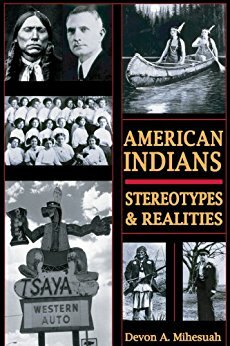 American Indians: Stereotypes and Realities (Clarity, 1996). 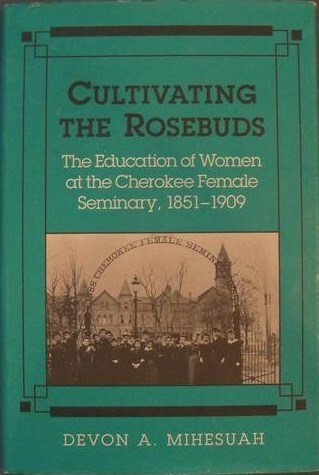 Cultivating the Rosebuds: The Education of Women at the Cherokee Female Seminary, 1851-1909 (Illinois, 1993). Recipient of 1995 Critics' Choice Award of the American Educational Studies Association. Her other writings have appeared in publications from Oxford University Press, University of Texas Press, American Indian Culture and Research Journal, American Indian Quarterly, SIGNSWicazo Sa Review, HEArt, Red Ink, University Press of Virginia, Greenhaven Press, Arizona School Boards Association Journal, Academic International Press, Garland Publishing, Bulletin of the Conference Group on Women's History, Macmillan Publishing Co., National Forum, The Four Directions, Chronicles of Oklahoma, Akwesasne Notes, Praeger Publishers, Alta Mira Press, Routledge, American Historical Review, Journal of American Ethnic History, Journal of the West, Western History Quarterly, The Journal of American History, New Mexico Historical Review, Choice, The Chronicle Review, Holt, Rineheart and Winston.